Obsidian Entertainment's Alpha Protocol—you know, the espionage RPG?—looks like it may not make its previously planned October release date. The Sega-published role-playing game looks like it will instead release next Summer. Recently updated ship dates from GameStop and Amazon.ca list Alpha Protocol for June 1 and June 30, 2010, respectively. Most online retailers still show the game due the last week of October of this year, but if two independent retailers are showing a delay, don't be surprised if others follow suit. 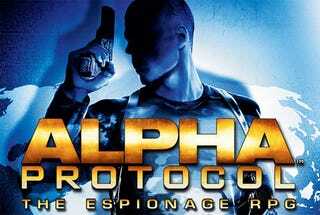 If those retail listings are accurate, it wouldn't be the first time Alpha Protocol has been pushed back. The game was penciled in for a release as early as February 2009. Perhaps Sega took some of Sony Computer Entertainment America's rumored comments about the game to heart? Whatever the reason may be, if Alpha Protocol has indeed slipped, it will join the recently delayed Blur as one of the many titles that will miss the typically heavy fall release schedule. We've reached out to Sega of America to verify that change, but haven't heard back yet.